If you ever used CyanogenMOD ROM than you’re familiar with DSP Manager. It’s an application that let you control of your device audio settings. 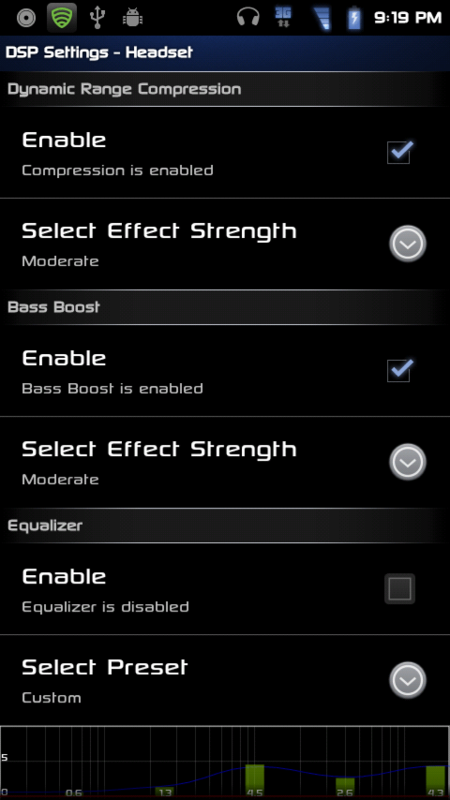 The app is very simple that let you change Equalizer manually or select from a bunch of preset options. The DSP Manager created by CynanogenMOD team for their ROM’s but was ported into standalone app and has been available for many devices. This app was ported to HTC One X and from their its ported to Galaxy S3 and according to XDA-Developer apascual89 its working fine for the S3. To Install DSP Manager on Galaxy S3, your phone must be rooted and also need Custom recovery. If you’re happy with current setting of your phone than don’t try this on your device. choose ‘zip from sd card’ and select DSPmanager zip file that you transferred in step 2. Congrats You’ve successfully installed DSP Manager on Galaxy S3.